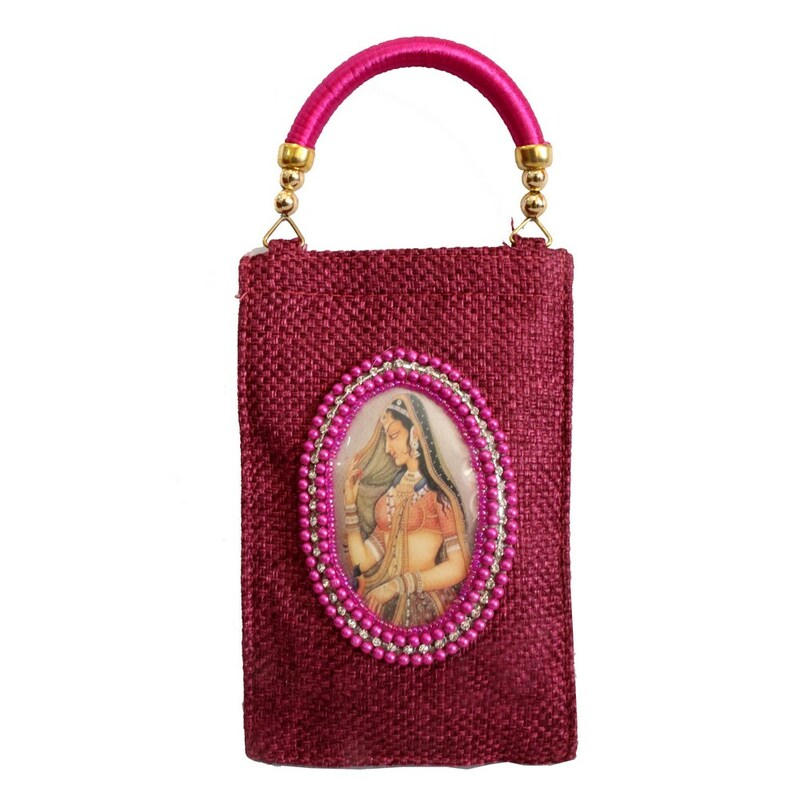 Get the brightest of appearance with this amazingly well designed clutch bag with tiny handle. The petite size of this clutch along with the jute Read More..built, makes it an ideal one to carry on an everyday purpose. The elliptical space elaborated with the Rajasthani girl image brings forth the ethnic flavors. Show Less..